A 44" screen printable promo snow tube for advertising your store or product. Heavy duty 18.5 ounce Vinyl cover can be screen printed before or after it is sewn. 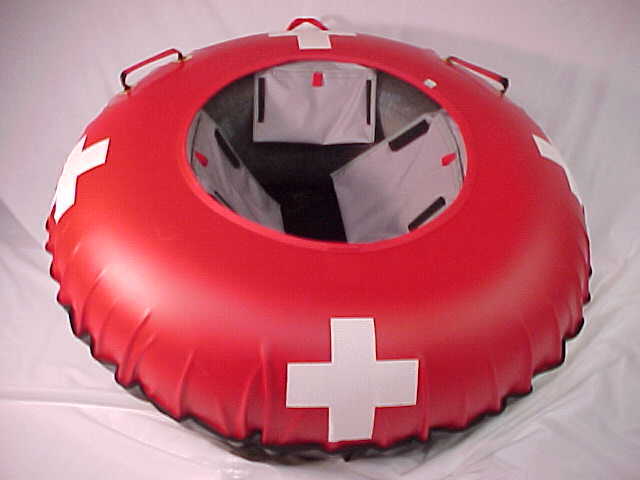 Outside bound clam shell design allows cover to lay flat and eliminates turning inside out. 2" webbing handles are sewn on and comes with a pull handle on the front. 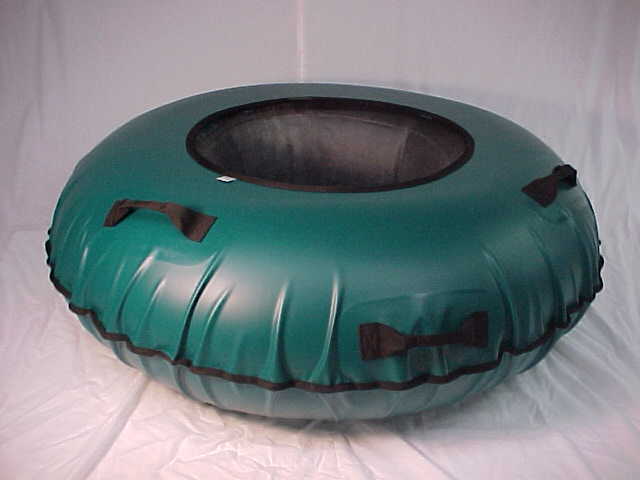 Our heavy duty recreational rubber inner tube is included. Minimum order is 25 units. Comes in all colors. 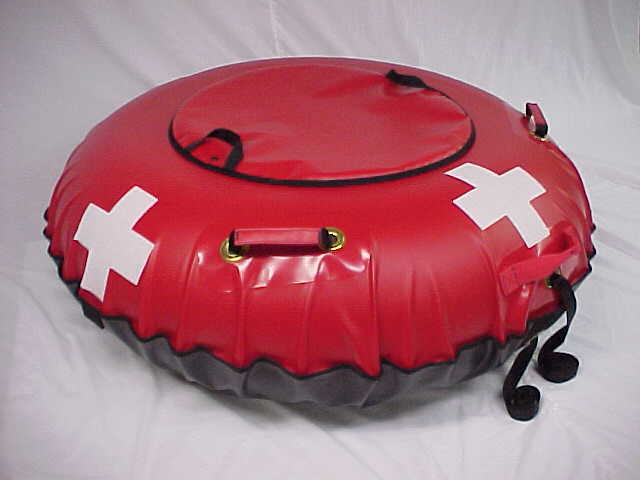 Free screen print on the rubber inner tube with your store or web address on orders of 250+. Call for pricing. Not a stock item. Made to order only.